Surf Hotel, Miami, 1936. Photograph by Arnold Schwartzman for his book Art Deco City: The World's Most Beautiful Buildings. 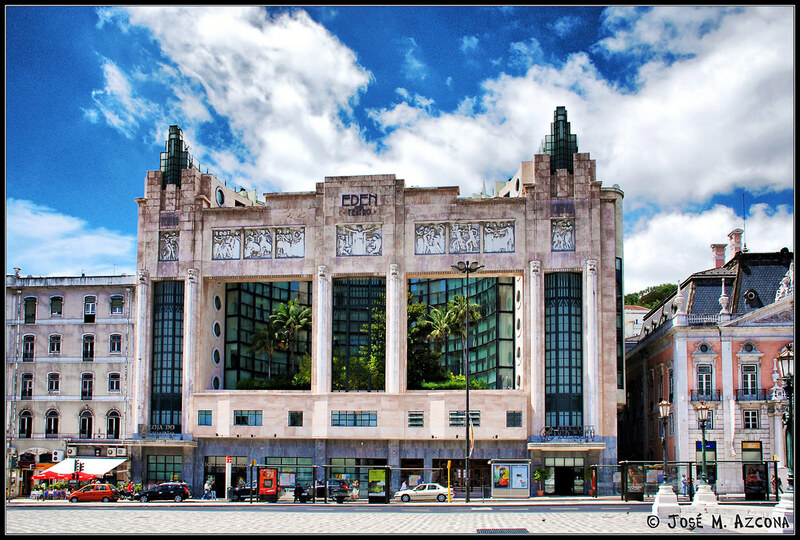 Los Angeles's Central Library, London's Hoover building, and Lisbon's Eden Teatro, are all considered to be some of the finest examples of Art Deco from around the world. They also all take center stage in the stunning photographs taken by graphic designer and film-maker Arnold Schwartzman, whose book on the 20th century architectural style was released in November of last year. Schwartzman, who was the Director of Design for the 1984 Los Angeles Olympic Games, photographed 13 of the world's most beautiful buildings. From a movie theater in Glendale, California, to an amusement park in Sydney, Australia, Schwartzman captures the careful and exacting detail of Art Deco's most celebrated examples. A number of them can be seen here in the Guardian. It may be a severe case of facadism, but that Eden Teatro hotel conversion looks pretty fab IMHO.